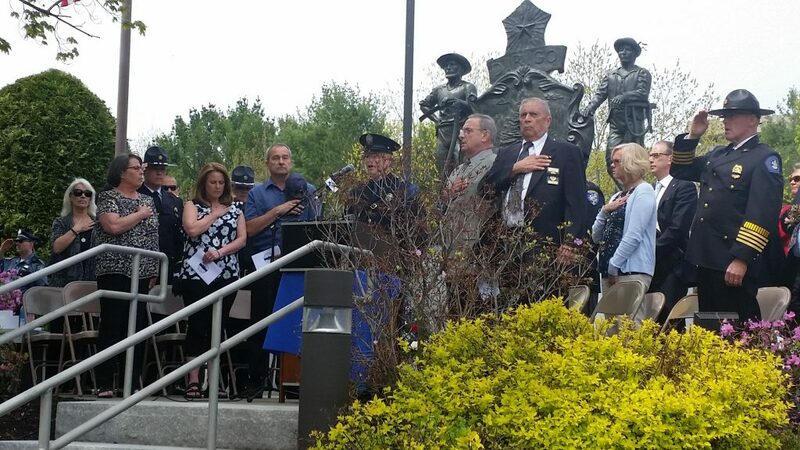 The Maine Chiefs of Police Association hosted the annual service at the Maine Law Enforcement Officer’s Memorial in Augusta on May 17 (“Hundreds come to Augusta to honor fallen officers, including 2 who died in last year”). The memorial recognizes officers who have fallen in the line of duty in Maine. In our country, an average of more than one officer dies while serving their communities each week. This is a reality that has become all too real in our state, as we have lost two brave officers in the line of duty in the last 11 months. Annual service at the Maine Law Enforcement Officer's Memorial in Augusta. At the service, my friend Nathan Desjardins became the 85th name to be etched into the memorial. At only 20 years of age, he passed away on June 6, 2017, as a result of injuries he sustained while working on a search-and-rescue operation for the Fryeburg Police Department. Next year, Cpl. Eugene Cole, who was killed last month, will become the 86th name to be added to the memorial. As our state mourns these losses, we must always remember not only the officers but also the loving and supportive families who were left behind, and forever be grateful for the sacrifices these families have made to ensure our safety.